Looking for optimum flexibility and maximum productivity to lift your railway wagons? With Stertil-Koni’s RF WAGONLIFT (Rail Freight) the railway wagon and bogies can be lifted simultaneously, leaving the wheels on the track.There is no need any more to move the bogies to a different area of the workshop. The RF WAGONLIFT will lift both the wagon and bogie with a capacity of 8.2 ton to 17.5 ton per column lift. 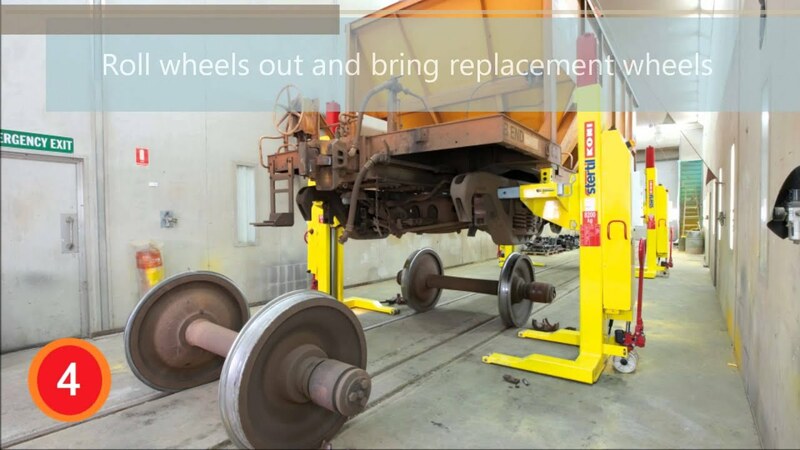 Therefore, our wagon lift is ideal for maintenance. 20 minute total wheel change!